The new game we are developing is for iPhones, which presents a very slight problem or two. First, I have very bad eyesight so it is a hardship for me to test on the phone. Second, there are a lot of activities that would be so much simpler if I had a phone on my computer. Screenshots, for example. 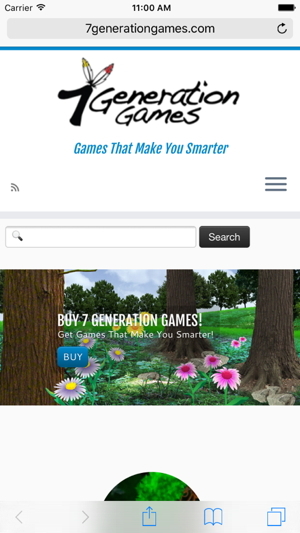 This is what the home page of this website looks like on an iPhone6. You can easily copy the screen using an iPhone simulator. Yes, I get it. I know this is the firstest of First World Problems, having to move from your computer screen to your iPhone. However, it can be slow and frustrating to have to continually switch back and forth as you are developing something. CAVEAT: The slow part – as someone who just came back from game testing literally out in the field, and is heading out to do more of the same tomorrow, a simulator is a TERRIBLE method for testing performance. Simulators are good for checking layout, whether features work and the look of your application. The iPhone simulator is super easy to use and you can use the menus to simulate what would happen with an iPhone, that is rotate, shake and so on. 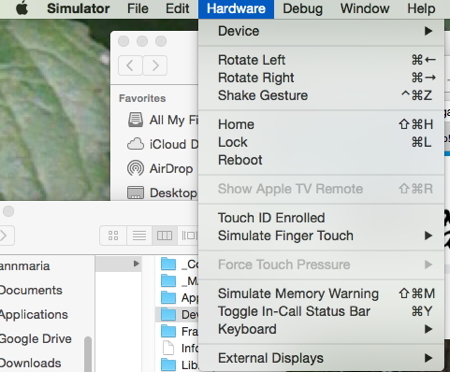 So, now that you are all eager, how do you get an iPhone simulator? One super-duper easy way is with Xcode, which, if you are developing for iOS, you probably already have. If not, you can get it free in the app store. That’s it. Your iPhone simulator is open and ready to put to use. While waiting for us to finish the iPhone app, head on over to play Forgotten Trail – available for Mac, Windows or Chromebook. Fun and you’ll learn math, social studies and increase your vocabulary. Don’t be scared. ← Who Does Game Testing in a Corn Field?